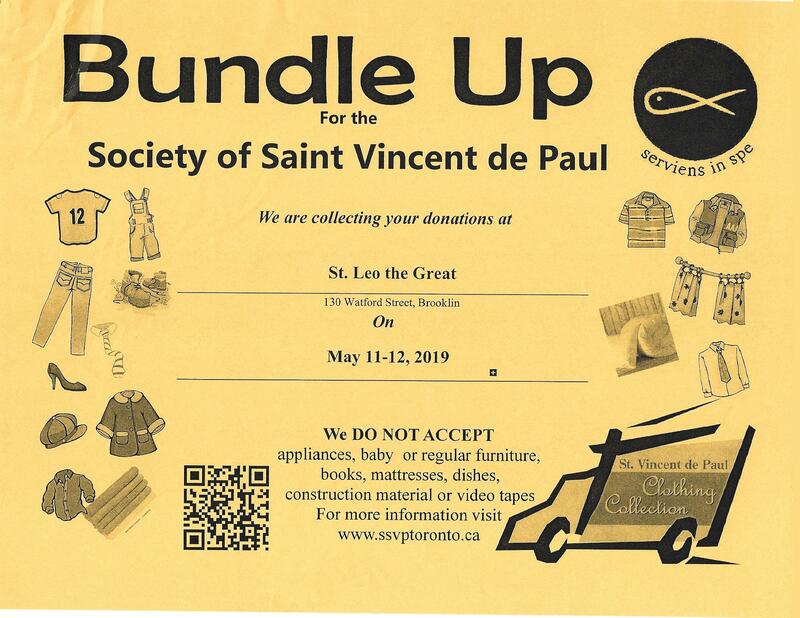 We are volunteers with the Society of St. Vincent de Paul, a Catholic organization that has, for over 170 years, been assisting those in need. We are members of St. Leo the Great Roman Catholic Church parish. Our Christian faith and beliefs call us to serve God by serving those in need. We are not a government service and do not receive any government funding. The material assistance we are able to provide in our home visits is due to the generosity of our parishioners who kindly deposit cash donations into the Society of St. Vincent de Paul collection box at the church after Mass. The motto of the Society is “to live the Gospel message by serving Christ in the poor with love, respect, justice and joy”. When a person calls seeking assistance, two Society members visit the person to find out how we can best help them; generally on an emergency, short-term basis. In some cases it may be with food or clothing vouchers. In all cases, we bring compassion, respect, and hope. The confidentiality of all cases is strictly upheld and ensured. We have had a very busy end to 2018 and beginning to 2019. In December St. Bridget Catholic School ran a successful Christmas Food Drive “12 Days of Giving”. 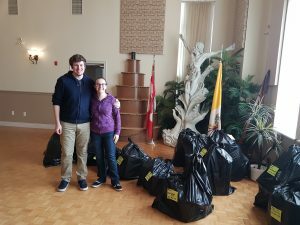 The amount of food donated was unprecedented and will fill the food cupboards of Holy Family and St. John the Evangelist Saint Vincent de Paul until close to Easter. Well done to all involved. 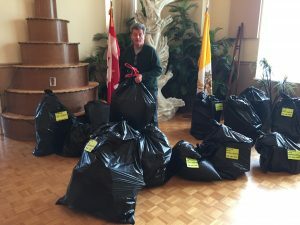 Our Christmas Angel Drive was again a huge success thanks to the generosity of our parishioners and their friends. This year we supported 29 families and 101 individuals with Christmas Gifts and food vouchers to provide the families with Christmas Dinner. Our Vincentians and their friends sorted and wrapped the gifts on December 16 and the gifts were delivered the following week. 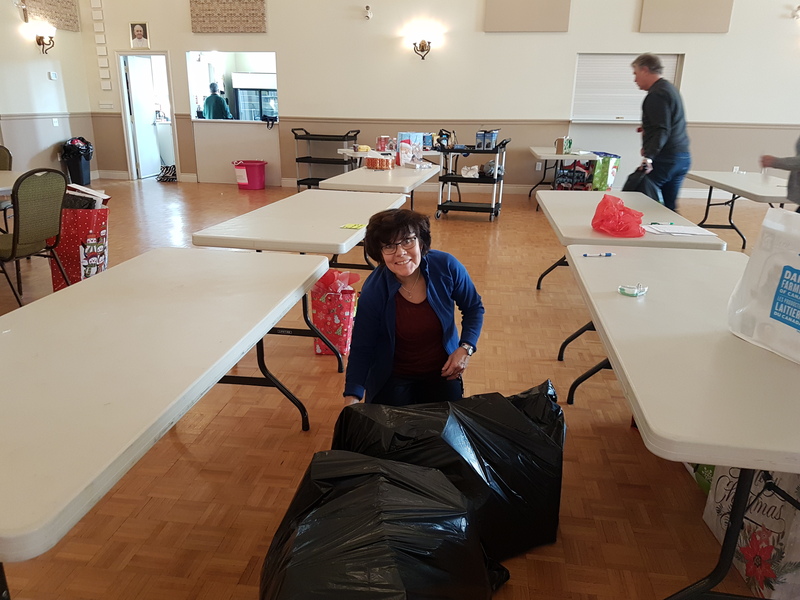 We have received many calls from our “ Neighbours In Need” thanking us for making their Christmas a happy one especially for their children. They reminded us that for many these are the only gifts that they receive. The teachers at St. Leo School sponsored a family which we very much appreciate. 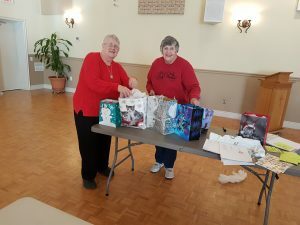 The donations of gifts and money of our parishioners are what make it possible for us to bring a little cheer into the homes and hearts of those less fortunate than ourselves. Stephen Collins, account executive from Purolator Pickering on behalf of employees of the sales department presented us with some PC food Vouchers. 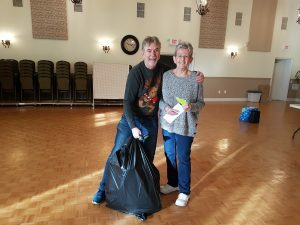 Throughout the year we are frequently called on by our “Neighbours In Need” for food. This is frequently the major assistance which we provide. We wish to extend our appreciation to Purolator for their thoughtfulness. adequately provide volunteers to cover the shift. Thanks again to all involved in this important work for the poor of our communities in Durham Region. We were on duty the week before Christmas when Santa visited the kitchen much to the delight of the children who visited that evening to receive a gift and some candy treats. 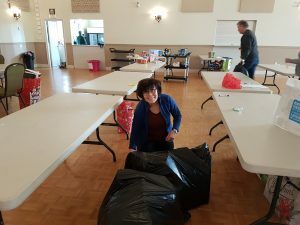 We just completed another Bundle Sunday and had an almost full truck to return to the Thrift Shop on Albert Street in Oshawa. We will have another Bundle Sunday in May. If you have furniture to donate contact the Bowmanville store at 905-623-7941. At our last meeting we had Carolyn Kitney, Program co-ordinator and assistant to the director of the Salvation Army speak to us about the services which they provide. We thank Carolyn for her enthusiasm and knowledge and willingness to share it with us. If you or someone you know needs help, please call our help line at: 905-655-3286 ext. 221. One of our Vincentians will return your call and arrange a visit. Taxes will soon be due and we will be forwarding tax receipts to those who have donated and given us your contact information. Our treasurer will have them out by the end of February to early March. Thanks again for all those who support us on an ongoing basis. It is only because of you that we can serve the poor in the ways which we do. Every Nickle makes a difference. 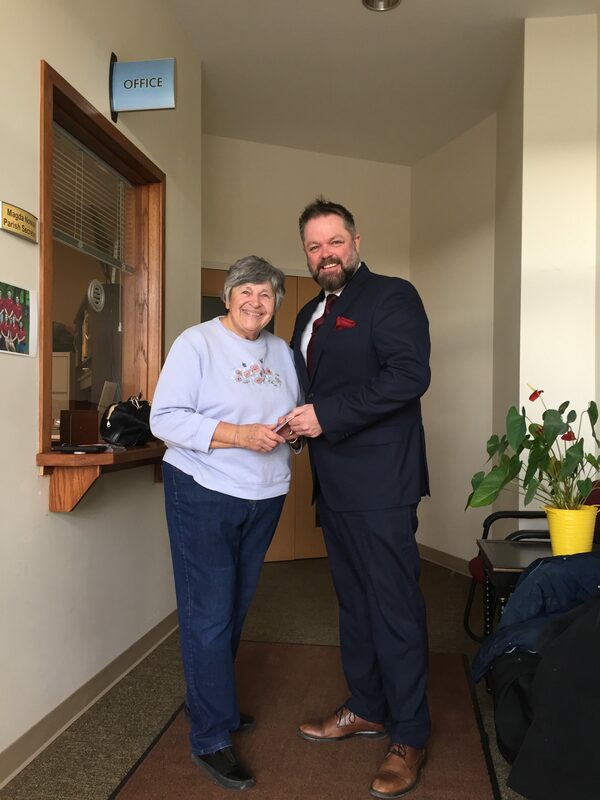 giving a donation of food gift cards.